The Full-Frame Mirrorless revolution shifts up a gear :-). Sony recently delivered its address to the media at ‘Photokina 2018’. Photokina is a trade fair held in Cologne, Germany for the photographic and imaging industries. It is the world’s largest such trade fair. It is the place where the imaging manufacturers choose to launch new products or make major announcements. Sony’s Press Conference at Photokina this year did not announce any new products (the FE 24 f/1.4 GM lens was, however, announced shortly before the start of Photokina) but comes at an important time when Canon, Nikon and Panasonic have announced that they too will enter the full frame mirrorless arena. Sony’s success with full frame mirrorless cameras is so huge the other manufacturers simply cannot afford to ignore the popularity of Sony’s full frame mirrorless cameras (mainly because it has impacted heavily on their own sales). At the Press conference Kenji Tanaka (Senior General Manager of Sony’s Digital Imaging Group) delivered a 20-minute ‘Strategy Update’ presentation to the press. He declared we had entered an “Era of Full Frame Mirrorless cameras” which I believe will dominate camera technologies for pro photographers and keen amateur photographers for the foreseeable future. Kenji also went on to state how Sony had acquired the leading share (globally) in both Full Frame cameras (including DSLRs) and Mirrorless cameras. 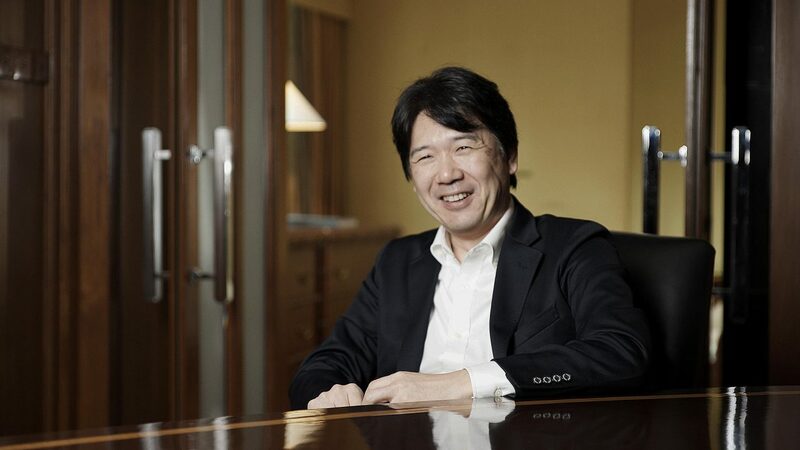 Kenji Tanaka took the opportunity to provide a short history as to how Sony arrived to be in this dominant position. 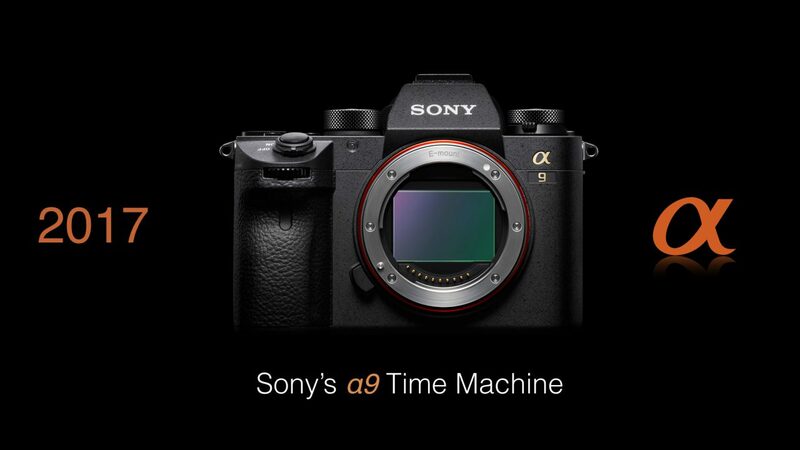 Sony were the first to release mirrorless full-frame cameras, the A7R and A7, back in 2013 and forged ahead to release the world’s first full frame Backlit illuminated sensor (BIS) in 2015 with the A7RII and also the world’s first camera with a ‘Stacked Full-Frame CMOS sensor (the A9 in 2017). Sony’s full frame mirrorless system has now grown to nine full frame mirrorless cameras and 48 native E-Mount lenses in 2018 (30 Native FF lenses, 5 Servo Zoom or Power Zoom lenses and 18 native APS-C lenses – all sharing the same E-Mount). Although Nikon and Canon have announced their own full frame mirrorless cameras it will most likely take them years for their systems to mature (Canon have announced their EOS R camera with just 4 native lenses and Nikon have announced their Z7 and Z6 cameras with just 3 native lenses). 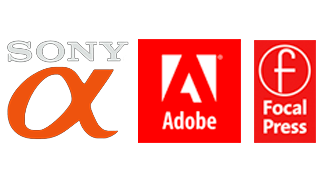 Although the initial impressions of the products announced from Canon and Nikon look promising, they do not appear to outperform the current Sony full frame mirrorless cameras in any one area (both cameras have inferior battery performance, a single memory card slot and the Canon does not have in-body image stabilisation or full pixel readout when shooting 4K movies). It has taken Sony 5 years to build its ‘mature’ full frame mirrorless system so Canon and Nikon have a long road ahead of them – even if Sony were to stand still. 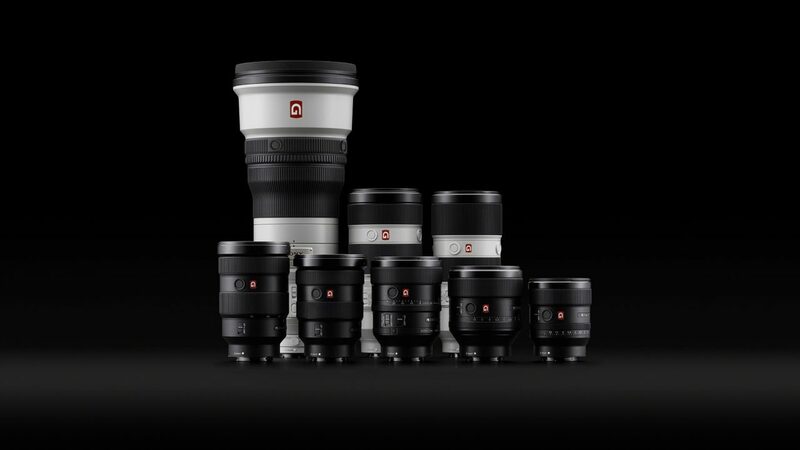 Compact and Lightweight bodies and lenses. Kenji dropped the first piece of ‘New News‘ by stating that Sony would grow its E-Mount lens lineup to 60 native E-Mount lenses in the “near future” but Kenji did not specify whether the new lenses were to be Full Frame or APS-C lenses. Kenji did take the opportunity to address the issue of the larger diameter lens mounts and the benefits that Nikon and Canon were claiming for their new designs, i.e. optimised for the development of very wide-aperture lenses. Kenji posed the question “Does a large-aperture high-quality lens require a large mount diameter?” He then went on to answer his own question in the next slide by simply stating “No’. The examples he provided were the new FE 24mm F/1.4 GM weighing in at just 445g and the FE 400mm f/2.8 GM, both these lenses are light in weight (for their class) and have exceptional image sharpness. 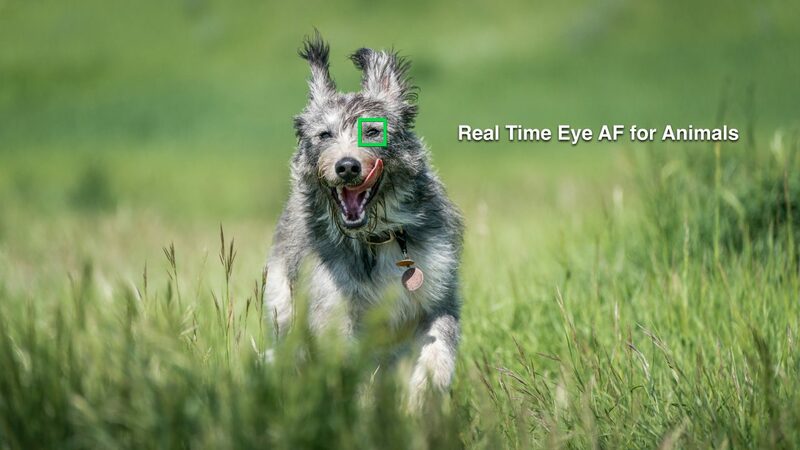 Real-time Eye AF for Animals – coming in 2019! For those less interested in lenses, Kenji announced Sony’s ongoing interests in developing more sophisticated Artificial Intelligence (AI). We have seen the benefit of Sony’s ‘AI’ when Sony gave us reliable Eye AF and then gave use “Real-time Eye AF” so we could track the eye of a moving subject in Continuous AF (an exceptionally valuable feature when working with wide aperture lenses at their maximum aperture). Eye AF has been a game-changer for many photographers and has brought many working pros over to the Sony systems. Early next year Kenji announced we would see Eye-AF enabled for Animals!!. This will now be a game-changer for any photographer interested in shooting rapidly moving wildlife. 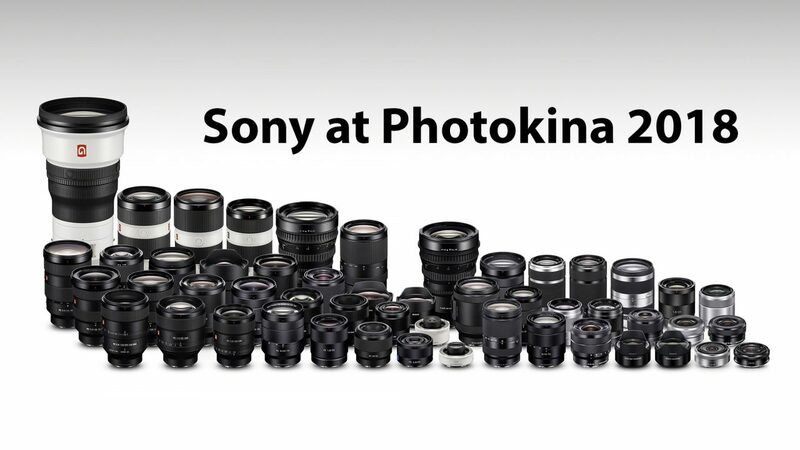 At Photokina 2018 Sony were simply setting the record straight, i.e. we are the market leaders and we intend to stay the market leaders into 2019 and beyond. This entry was posted in Announcements, Blog, E-Mount Cameras, E-Mount Lenses and tagged 2018, E-Mount, Full Frame, Photokina, Press Conference, Sony Alpha.